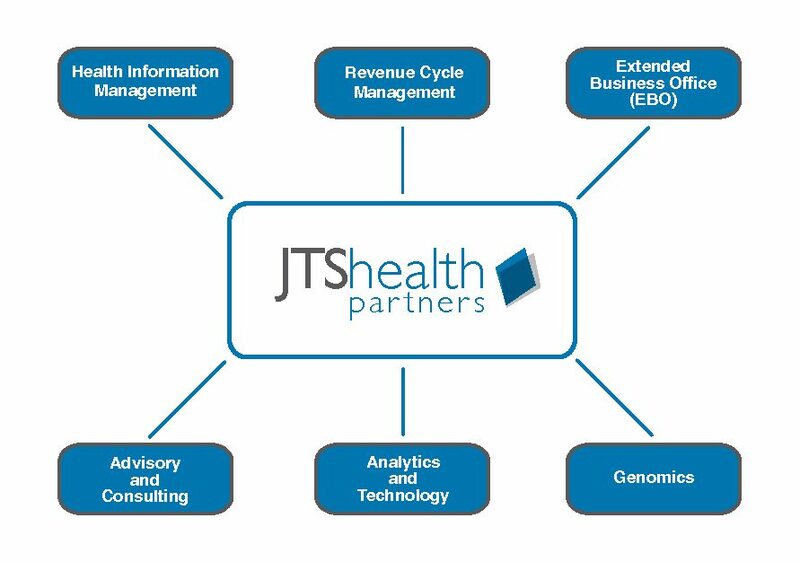 JTS offers tremendous value and service level by providing and tailoring its professional services based on client needs within the advisory and consulting, health information management, extended business office, analytics and technology, revenue cycle management and genomics areas. Our promise is simple; we operate serving our Clients’ best interest by allowing for flexibility of services provided in a strategic or tactical role that align with the Client’s goals. Our Clients’ needs come 1st! With that in mind, JTS operates and respects the goals of our Clients’ as our own and passionately accepts boundless challenges to achieve those goals. JTS is unique! We align our top leading healthcare experts and resources with our clients’ challenges (regardless of size). Our employees’ and partners’ leadership, integrity, and respect allow them to work at all levels within our clients healthcare organization.